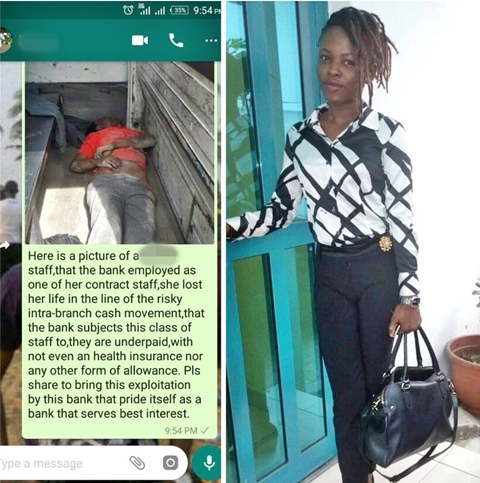 One of the contract staff of a popular bank was recently knocked down by a truck around the Apapa area of Lagos state. It was gathered that the bank staff identified as Lawanson Alaseyori Oluwabukola went on cash movement to a branch in Trinity road, Apapa. The bullion van that took her and the cash there, left afterwards, for her to finalise the process. 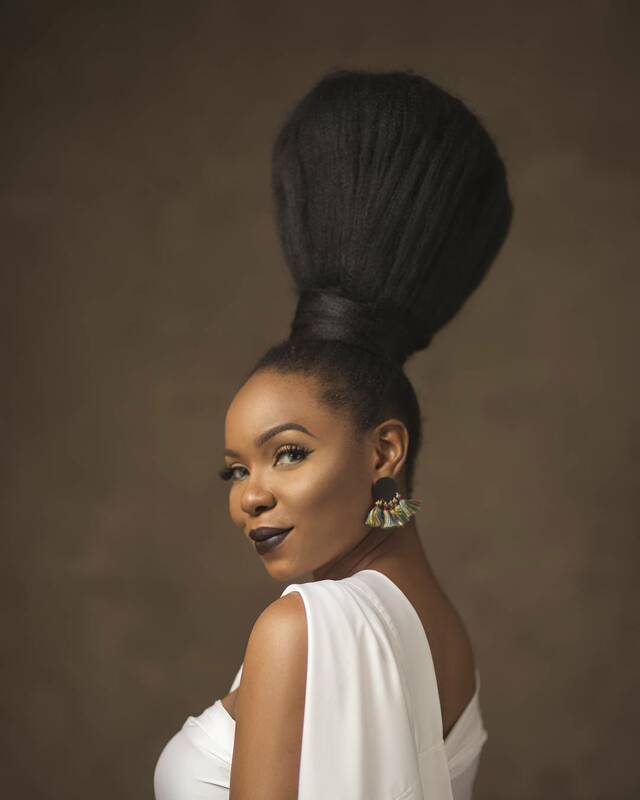 However, after concluding the cash movement process, Oluwabukola was knocked down by a truck while returning to her branch in Alaba. 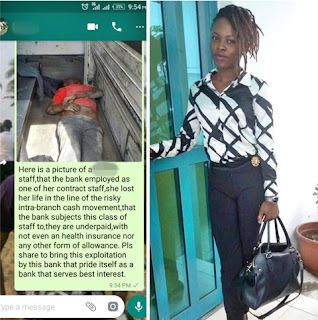 “This is a very sad News to the family of this ***** Bank Plc Contract staff in Alaba Branch, Lagos State with BSc , that just lost her life in a responsibility that is supposed to be done by Professional Staff. She went on cash movement to a branch in Trinity Road, Apapa in one of ****** Bank Branches. When a bank such as ****** Bank with high Magnitude and profit oriented financial institution, would allow Contract staff with no Medical allowance, Welfare allowance and other benefits that professional staff enjoys would be going for Cash movement. 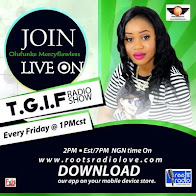 A girl that earns N75,000 on monthly basis died on a function that was supposed to be carried out by Full staff. A bank who doesn’t care about the welfare of their contract staff. It is a shame that ****** Bank is using BSc holders as contract staff. Upon return from the Cash movement , she was knocked by a moving truck. RIP Lawanson Alaseyori Oluwabukola.